New Spain coach Luis Enrique. And after a year’s sabbatical, Luis Enrique is ready to return to management with the national team. “I am very excited, after having the opportunity to defend the shirt of the national team and suffer with it,” he told Cuatro. Luis Enrique’s appointment has not been universally praised in Spain, with detractors noting his uneasy relationship with the media. “I know that criticism is something attached to any position in our country and I’m ready for it,” he said. Email “Luis Enrique excited by Spain challenge but 'will not change' for critics”. 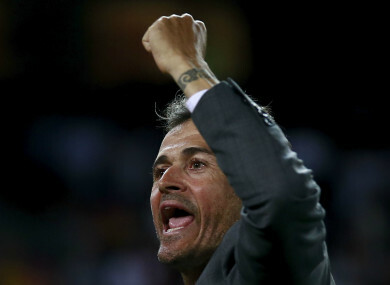 Feedback on “Luis Enrique excited by Spain challenge but 'will not change' for critics”.